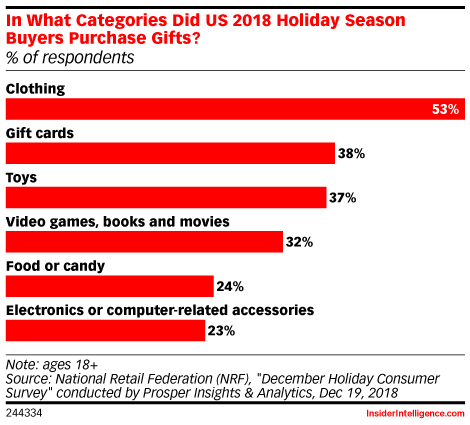 Data is from the December 2018 National Retail Federation (NRF) "December Holiday Consumer Survey" conducted by Prosper Insights & Analytics. 6,978 US internet users ages 18+ were surveyed online during December 3-12, 2018. The survey has a margin of error of plus or minus 1.2 percentage points.